Obafemi Awolowo University (OAU), Ile-Ife has conferred an honourary doctorate degree on the General Overseer of the Redeemed Christian Church of God (RCCG), Pastor Enoch Adeboye. The award was conferred on Adeboye during the 41st Special Convocation held at the Oduduwa Hall of the OAU, Ile-Ife last Friday. 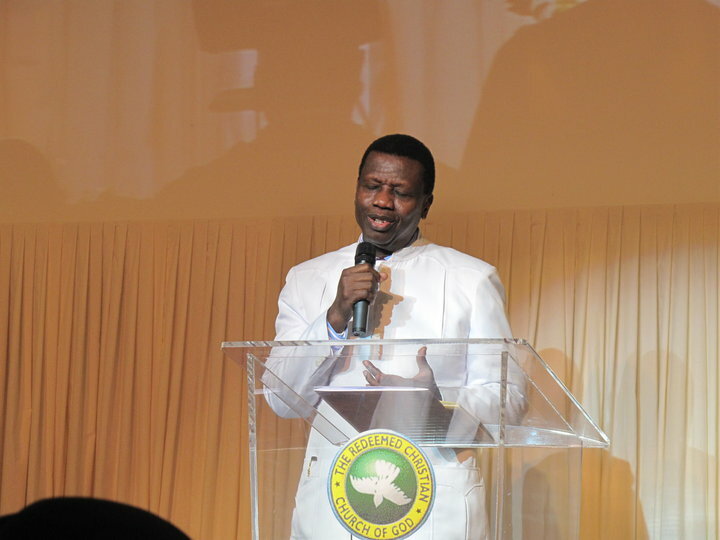 Speaking at the ceremony, Pastor Adeboye said the award would spur him to contribute more to the development of the university. According to him, the award should serve as a lesson to everyone that what is impossible with men is possible for God that is why one should never write off anybody. He explained further saying when late Oba Adesoji Aderemi was given honorary award by this university, “I said to my friends that one day, I too will like to get a honorary award of this university. “My friends laughed and said if it is something that can be worked for, he has no doubt that I will get it because I am hardworking and brilliant. “He said honorary award of this kind is only given to people of high class. “But today, a special convocation is holding to award an honorary doctorate to the ordinary person of that time. “I am not given this particular award today because of my scholastic work in academics. “The only reason why the Senate of this university set today apart is because God want to make a dream possible. “I have several honorary awards from different universities both within and outside the country, but I waited for this one. God has made a dream come to pass. OAU Vice-Chancellor Prof. Bamitale Omole, who spoke said that God is the major drive for the university’s growth. “Although we have challenges, God has been faithful to us.”, he said.